I have plans to release two new books in 2016, both of which have been started. Release dates are just estimates at this stage but I will update you once I know more. 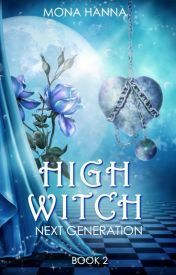 The first book I plan on releasing is the sequel to High Witch Next Generation (Generations Book 1). I don’t have a title or blurb yet, but I designed a draft cover for now. The book continues the story of Erica and Gareth, but another main character is James, one of Hallie’s twin sons. I would like this book published by June 2016 at the latest. 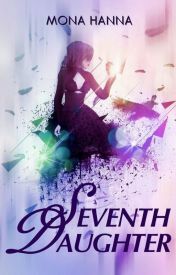 Sixteen year old Kamelia grows up in a time where witches and warlocks live among everyone else, but she has no powers. Her life is ordinary and boring until she begins receiving dark visions of people dying. Only her friend Beth believes her – her mother thinks it’s all in her mind. She’s tortured by the visions and doesn’t understand how someone who isn’t a witch could have a power. Then she comes across Gilean. Only hours before she sees the young man dying in an accident, and manages to save his life. She doesn’t understand what’s going on or why this vision led to something real. Is there something special about Gilean? Was she meant to save him? Was he involved in all this? She doesn’t know what the truth is. She just knows something is horribly, horribly wrong. I aim to publish this book by December 2016. I’ll keep you all updated with my progress.